It was a little chilly out so we had him bundled up in his adorable hat! 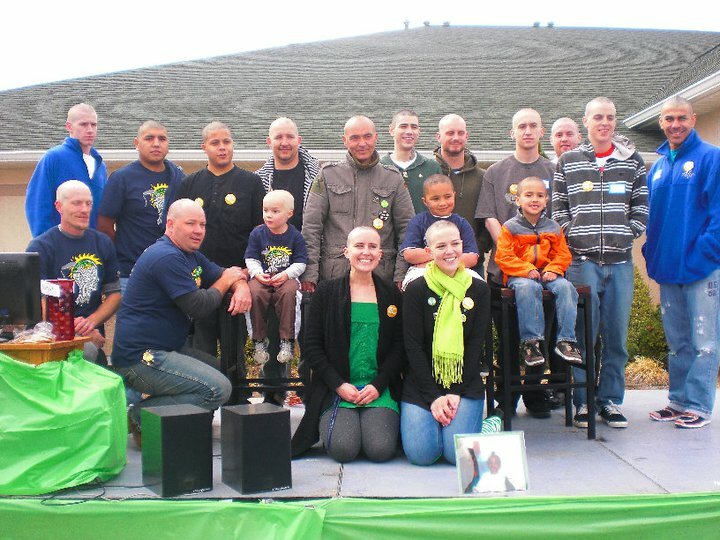 After hanging out for a bit the event got started when our neighbors, E & P got their heads shaved! 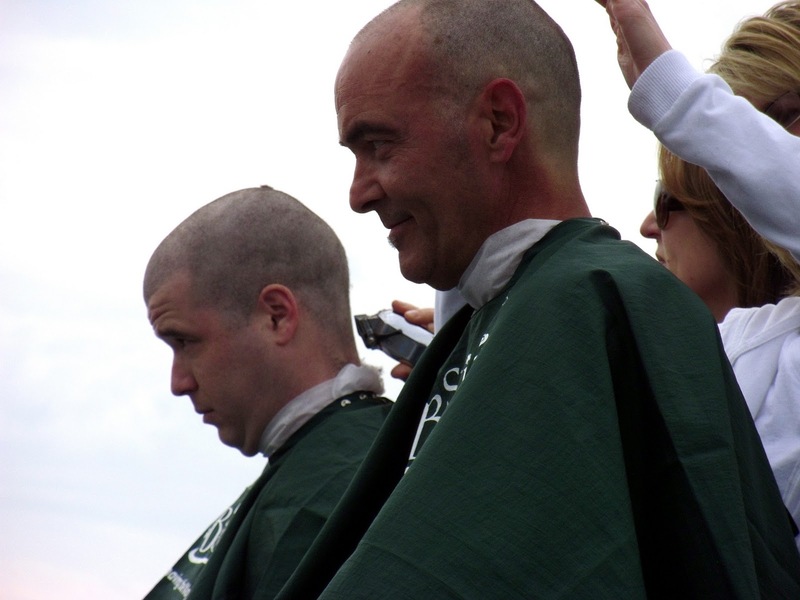 Then B and another friend shaved their head. B didn’t look much different AT ALL! This was the youngest participate how cute is he!? This is a picture that was snapped of all the shavees minus B since he was bringing M and I home since it got a little too cold for M! I hope to add Mason to the mix soon! 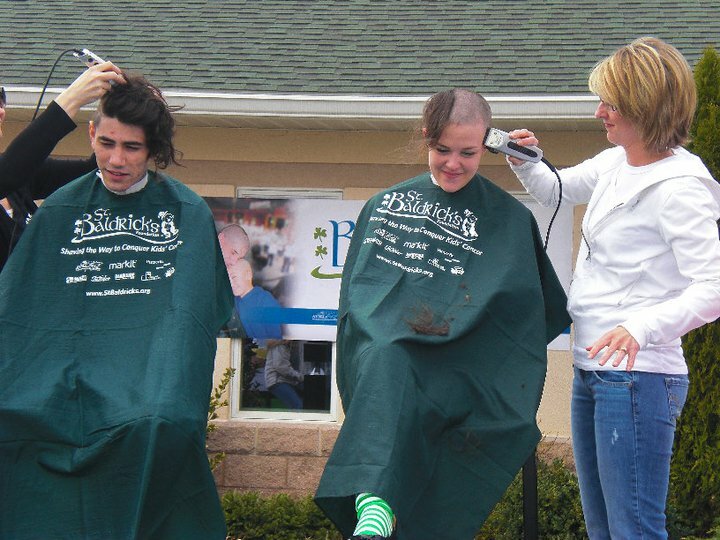 Only three girls shaved their heads, E who ran the event, her sister who bless her heart decided to do it last minute and one other girl who only heard about the event three days prior! Brave women they are! What’s great about this though is that the awareness doesn’t just end with the Event. I’m sure that E and her sister will get plenty of questions asking why they’re bald and when they explain they get raise awareness about Childhood cancer! That is so awesome. I am always in awe of the woman that do it! That's awesome! 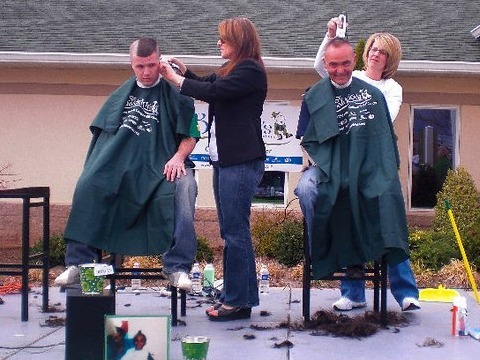 I seriously commend those women because I could never never shave my head! Great post! This is a great cause!! Thanks for sharing!